Rain, so often approached as a universal foe to be deflected away from buildings, became the focus as both an ecological and cultural phenomenon that can challenge how we engage with our environment. 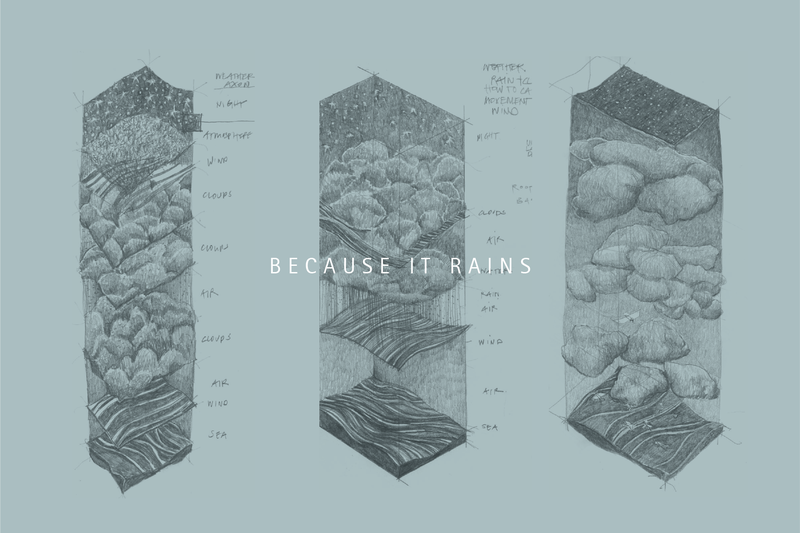 Bartunek sought out five notorious rains found in Florida, New Mexico, Kauai, London and Norway, experiencing and studying the individuality of rain through the lens of architecture. The exhibit catalogs these tales of rain through a series of climate illustrations and architectural research models, asking and inspiring us to think differently about our weather.